As a nature photographer who primarily shoots macro nature images, it was almost inevitable that I'd end up being quite a keen gardener. For the most part, I grow plants that will attract insects and birds, but sometimes I come across a plant that could have been made specifically for photographing. 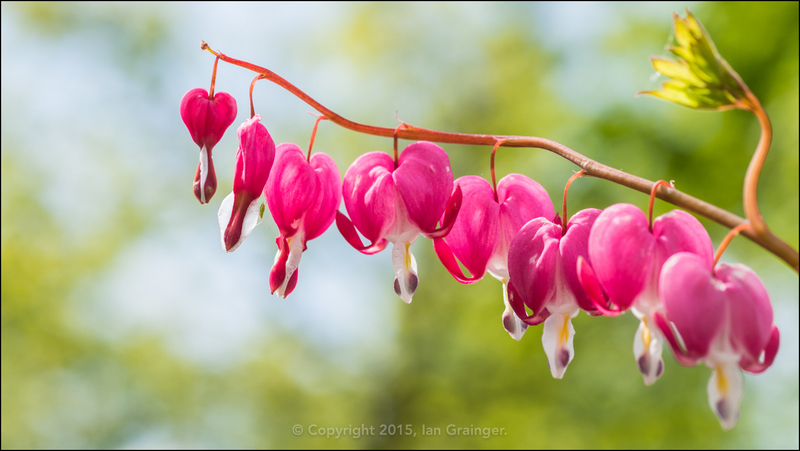 This Dicentra (Bleeding Heart) plant is obviously one of those plants! It found its way into my shopping basket on a recent trip to the garden centre, and now takes pride of place by the edge of my pond. Isn't it beautiful? Of course it is, and for this reason, it is my Image of the Week!